Anyone who loves cheese is sure to know about mozzarella. It is one of the most popular dairy products for its taste and texture. According to some people, mozzarella cheese is said to be bad for health. Mozzarella has lots of health benefits. Mozzarella cheese has smooth and soft texture and it melts very easily. This cheese is made by mixing cow or buffalo milk with rennet, an enzyme. It is turned into curd and then it is heated and stretched, which make it bouncy. Processed mozzarella cheese is available in various ways like part-skim milk and whole milk. Mozzarella cheese is made from milk. So, it is not only delicious to taste, but it also has lots of health benefits. It is rich in calcium s well as other nutrients needed for the body. Mozzarella cheese is also a good source of Vitamin B3 or niacin. It plays an important role providing energy to the body by turning fat into energy. Niacin is also good for the control of cholesterol levels in the body. It can also prevent ailments like arthritis and diabetes. Mozzarella cheese contains good amounts of phosphorous. This mineral helps your body to absorb calcium from foods effectively. It is also needed for the digestion as well as for the proper functioning of the kidneys. Phosphorous helps your body to fight against muscle fatigue and improves the function f the brain. Mozzarella cheese is rich in biotin, which is also called Vitamin B7. Since it is water soluble, the body is unable to store it. Eating mozzarella cheese is an excellent way to get the required nutrients for your body. Pregnant women deficient in biotin can also eat this cheese. This will provide them the biotin needed during pregnancy. Vitamin B7 is also great for protecting your nails from getting brittle. According to studies made, biotin is effective for lowering the levels of blood glucose in people suffering from diabetes. Mozzarella cheese contains calcium high amounts. This is a mineral that is essential for the health of your bones and teeth. One ounce of this cheese provides you 183 mg of calcium needed to protect the tooth enamel and maintain the bone structure. Moreover, calcium is also good for protecting your heart muscle and for reducing the risk of colon cancer. You can also reduce weight effectively by including mozzarella cheese in your regular diet. Mozzarella is rich in riboflavin or Vitamin B2. It is a part of vitamin complex family and is good for the health of your body. You need to take it daily to fight against various ailments and conditions like anaemia, migraine attacks and so on. It also has antioxidant properties. Make sure that you include this vitamin in your daily diet. By including mozzarella cheese in your regular diet in the right amount, you can improve your vision. This is because it is rich in various nutrients and therefore a healthy food for the body. Mozzarella cheese has the ability to lower the levels of bad cholesterol in your body. This is essential for maintaining a healthy body. This in turn helps in increasing your stamina as well. 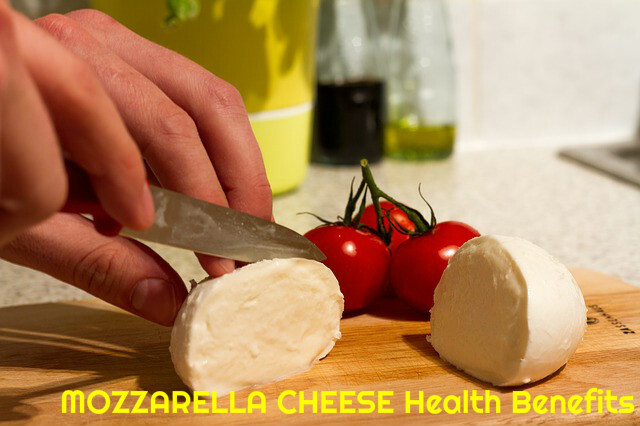 Mozzarella cheese is a good source of important fat soluble vitamins like D, E and A. These vitamins are essential for the body and help in the proper absorption of calcium. They are also needed for keeping your bones healthy and for the protection of cell membrane. Mozzarella cheese is a rich source of protein. You can include it in your regular diet to get the required amount of protein. Eating this cheese helps in keeping you energetic throughout the day and also helps in increasing the strength of your muscles. Another important mineral found in mozzarella cheese is potassium. It can help your body fight against the adverse effects caused by the consumption of sodium. Potassium is also good for lowering the blood pressure and for rectifying abysmal heart rhythms. Zinc is a vital mineral you can find in mozzarella cheese. Presence of zinc in it helps fight various problems of the skin. It is also good for increasing the count of white blood cells. Zinc can ensure proper functioning of the prostate glands. People on a weight loss program can include it in their regular diet as it is can help you get rid of the excess weight. There is no doubt that mozzarella cheese is very tasty and full of nutrients needed for the body. But it also contains high amounts of saturated fat. This can affect the health of cardiovascular system and also lead to a gain in weight. So, it is better that you take it in moderate amounts and try to choose the low-fat varieties. Cook the orzo as directed on the package, and drain it and cool. Whisk the oil, lemon zest, lemon juice and half teaspoon each of salt and pepper in a bowl. Add the cherry tomatoes, mozzarella cheese, snap peas, herbs and orzo, and toss them to combine.